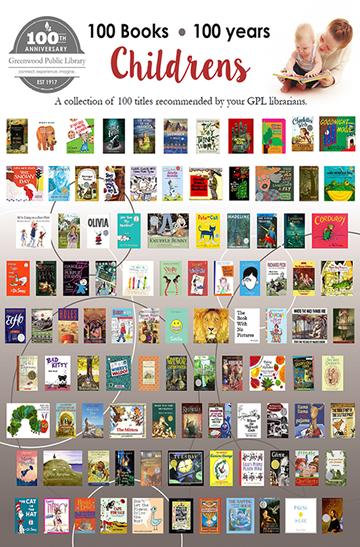 In celebration of Greenwood Public Library's 100th birthday and in conjunction with the Reading Revolution, the librarians have created lists of 100 books by age group that come highly recommended. 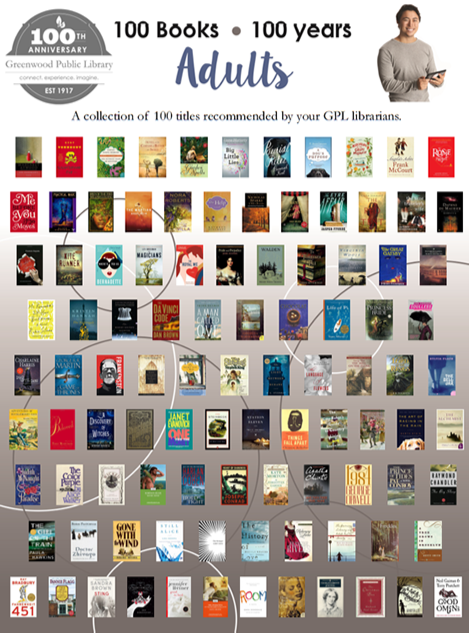 The lists showcase a variety of genres and formats and include titles that are "classic" reads and new favorites. 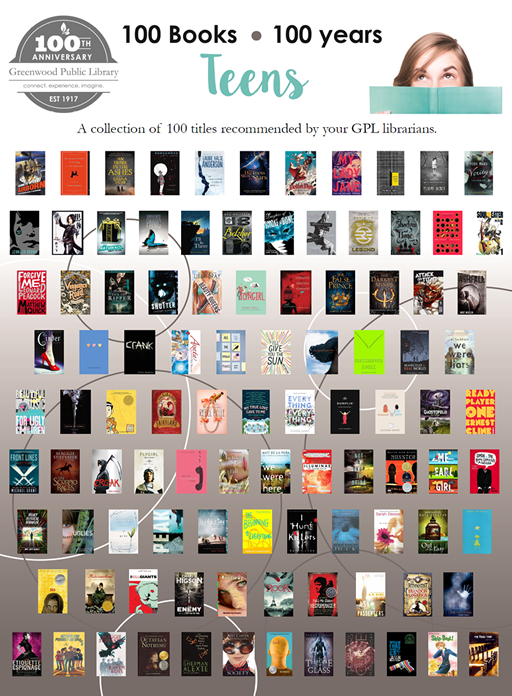 A link to a printable version of each list is available below, or pick up a copy at any reference desk in the library.